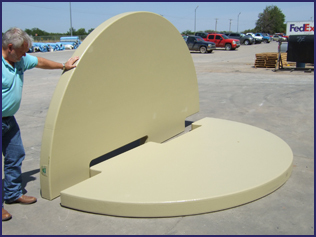 Save money and protect your assets with Interlocking Tank Bases. 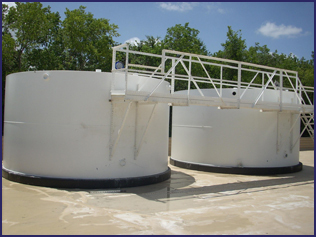 In the past, preparing a site for above ground storage tank placement included pea gravel installation. While this method appeared more cost effective, over time the gravel was inevitably exposed to leaks and spills. 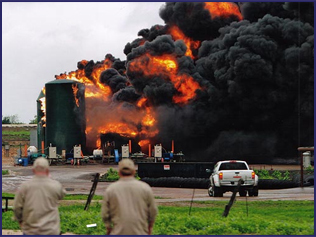 Now costly remediation can be eliminated with Enviro-Guard Foam Interlocking Tank Bases (patent pending). Installed on minimally prepared ground, they not only ease site preparation and reduce setup costs, but their non-permeable surface is easily cleaned for future use. 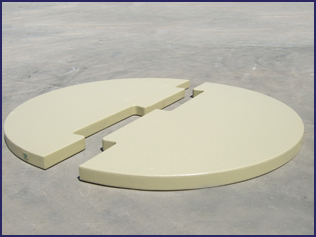 Every reusable Enviro-Guard Foam Interlocking Tank Bases is encapsulated with a two-component, rapid curing pure polyurea. The signature design consists of three interlocking parts that eliminate strapping. All parts are universal, able to be interchanged as required, allowing for ease of shipping and installation. 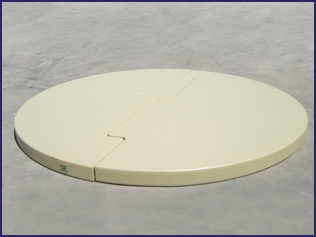 Enviro-Guard Foam Interlocking Tank Pads are the smart choice to minimize concerns for yourself and our environmentally aware society!